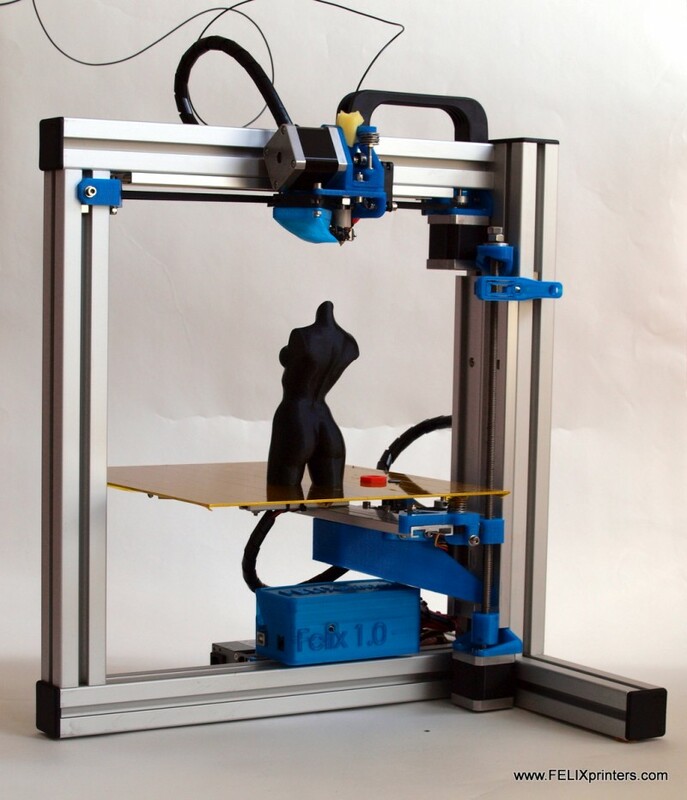 Do you want to 3d print objects, or do you want to learn about 3d printers? The Felix 1.5 ends up giving buyers a little of both. 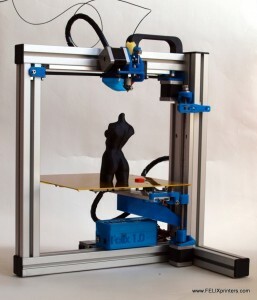 Most thinking about getting the Felix 1.5 from Felix Printers will be getting it as the kit, to save the €400 cost of the upgrade from the DIY kit to fully assembled. It’s a unique machine, with some great design ideas, but it comes with a few flaws. The kit took us about 12 hours to build, and we’ve build Rep rap machines before. The components come with a pdf of how to assemble everything. We heard horror stories of having to file down pieces of the motor as a required step, but the Felix 1.5 motor comes with flats, a great upgrade from the Felix 1.0. The Felix 1.5, much like the Felix 1.0 has a rigid frame that slides the print in the Y axis, while the print head moves in the X axis. The bed retracts in the Z with each layer. Unfortunately, moving the entire 3d print can shake the object if you’re dealing with tall thin objects that don’t have solid adhesion to the print bed. The printer is a bit easier to calibrate, as the design makes it less overengineered. Dialing in settings typically only has to be done on one screw instead of multiple screws. But, its differences from other 3d printers made it hard to understand at times what needed to be done. This video shows a sped up build process. Clearly these guys know what they’re doing. It took us much longer. The extruder uses 1.75mm PLA filament with a standard stepper extruder. We didn’t notice much stringing, so it retracts the filament well. The heated bed helped only a little bit with warping, because the open design makes it difficult for the bed to reach full temperature unless you’re working in a warm room. The design includes many 3d printed parts, which makes it so you can order the machine in red, black, or blue. The fans and the ball-bearing rails make printer operation extremely quiet. The Felix is one of the quietest machines we’ve dealt with. At €899 (about $1200), the Felix 1.5 gives a great kit for learning a bit more about 3d printing, with some pretty good results and rivals other midrange printers. But it’s a bit complicated to put together, and other options like the Type A or MendelMax Pro give similar quality with no assembly required. If you want to learn about how 3d printers are put together or you want to play with a unique 3d printer design, get the Felix 1.5 3d printer. But if you want to get up and running with great prints, look to the other midrange players.